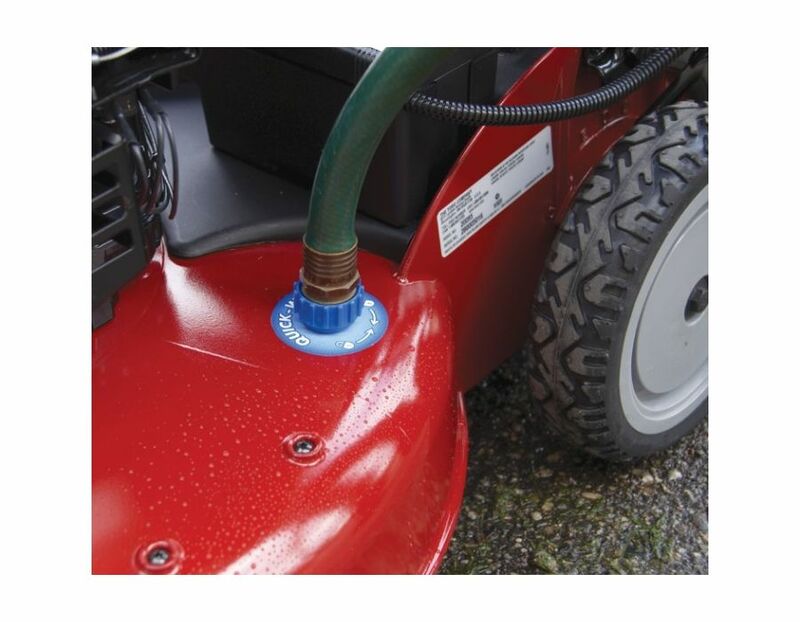 Electric Start - Starts with the push of a button. 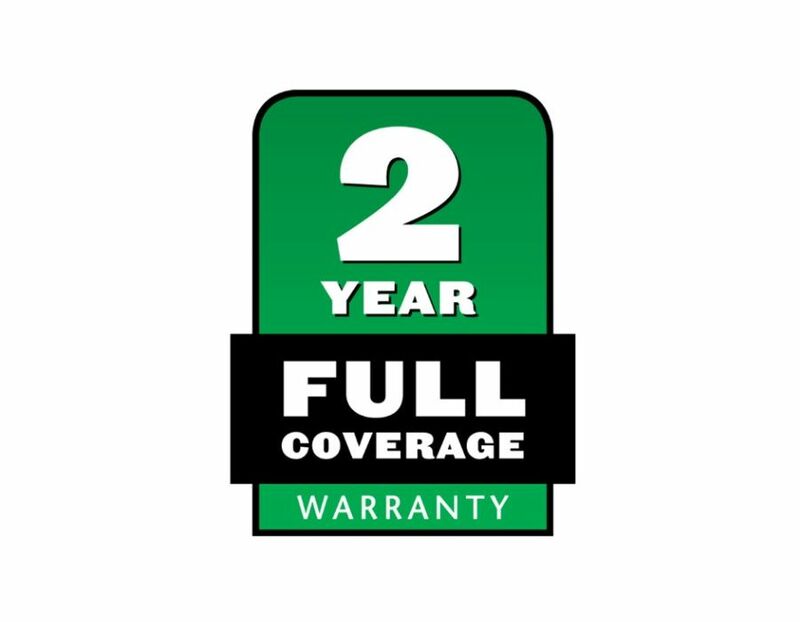 There's no need to choke or prime the engine. 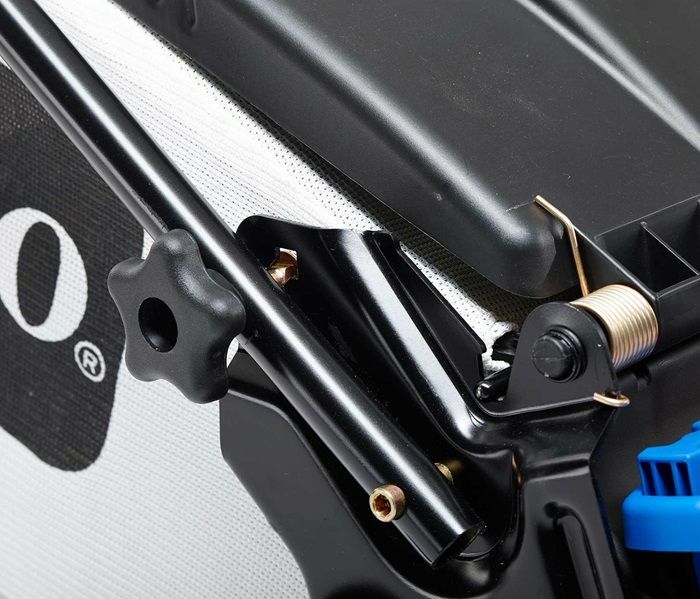 Bag on demand -you can switch from mulching to bagging in seconds with a flip of the quick-change lever – and the bag can stay mounted in either mode. 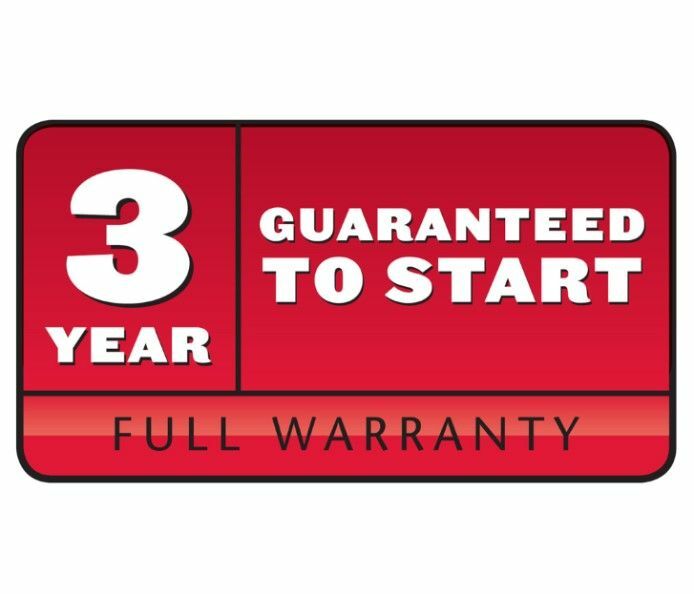 Starts on one or two pulls up to three years or we'll fix it for free! Ask us for details! 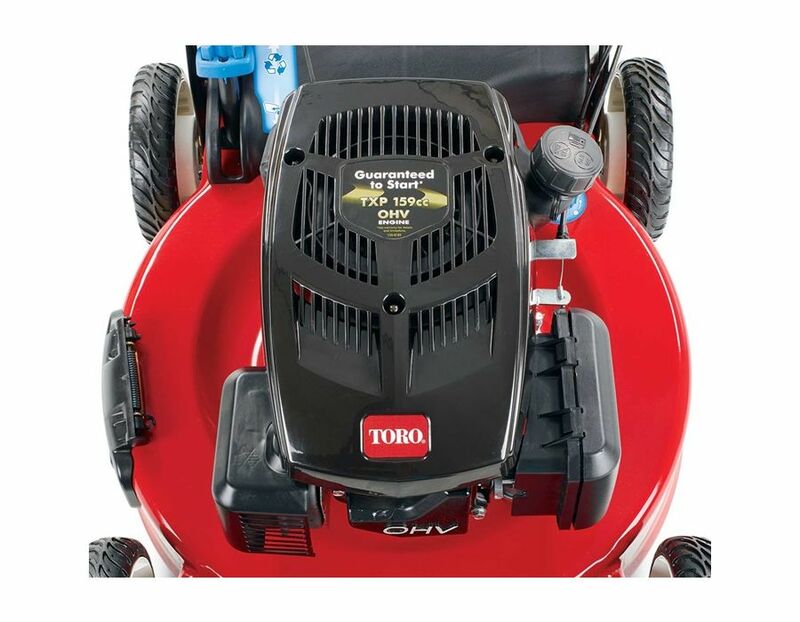 The Toro 20374 Personal Pace Recycler Push Mower makes mowing even easier with the electric start option. 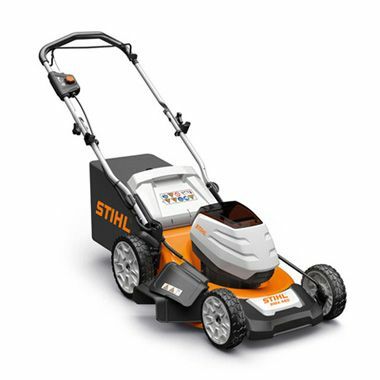 Simply push the button to start, walk forward and you’re mowing. 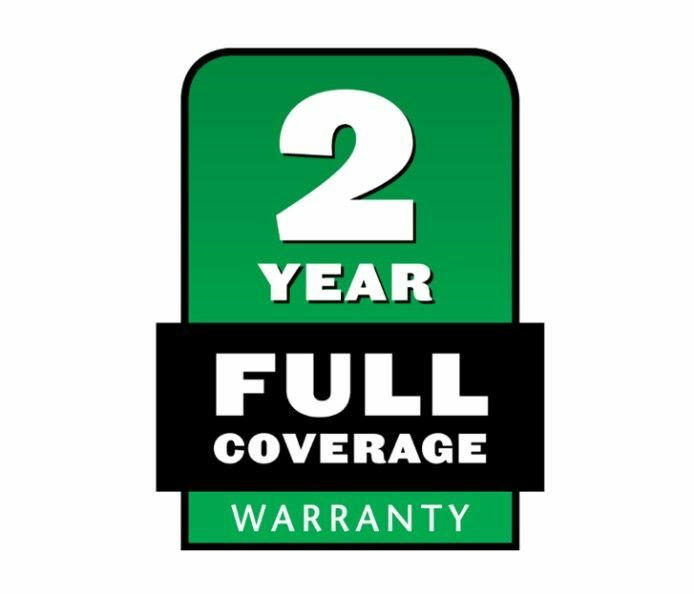 With this model, you have the option to use a pull cord as well. 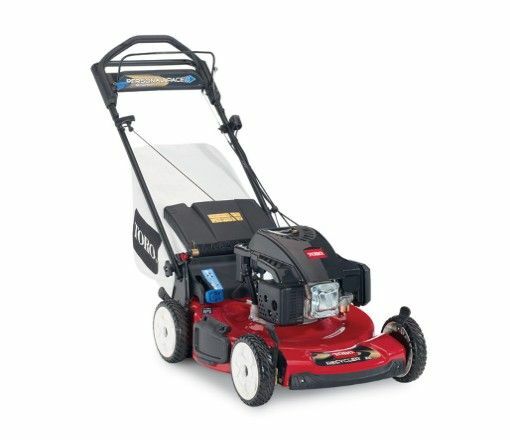 This mower is sturdy, easy to operate, and packed with innovative features that will save you time every single time you mow. 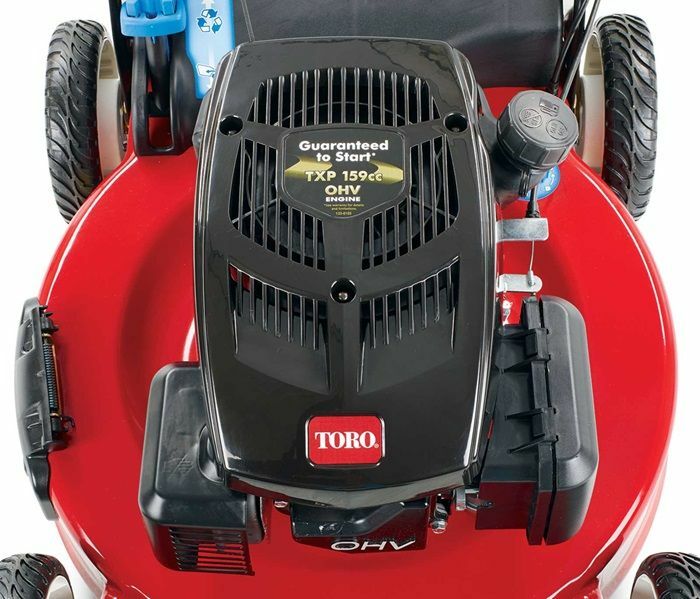 Toro Premium OHV Engine - More efficient and burns cleaner than side-valve engines. 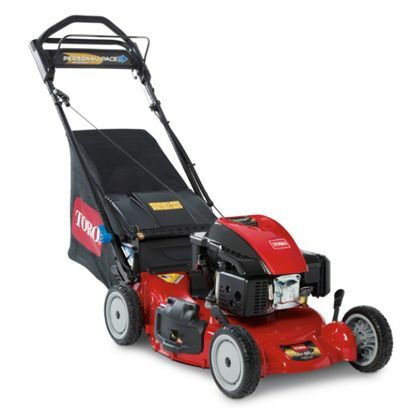 It has superior airflow and engine block design that helps the engine run cooler. 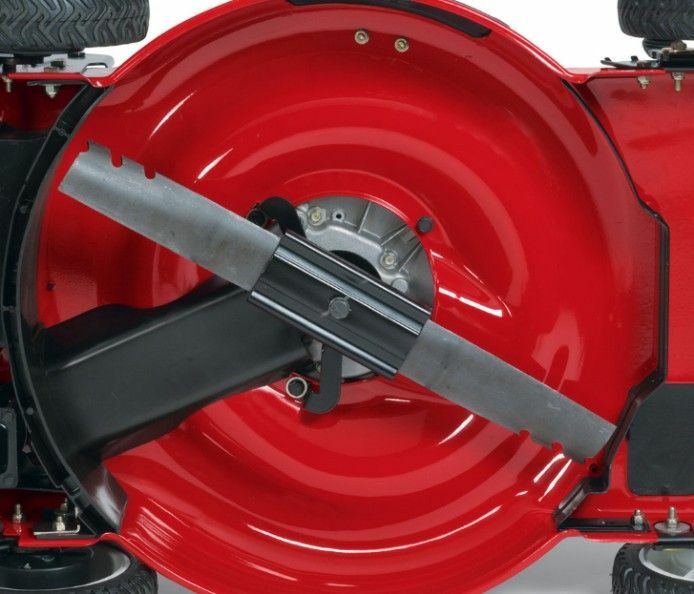 The low-tone muffler keeps noise down. 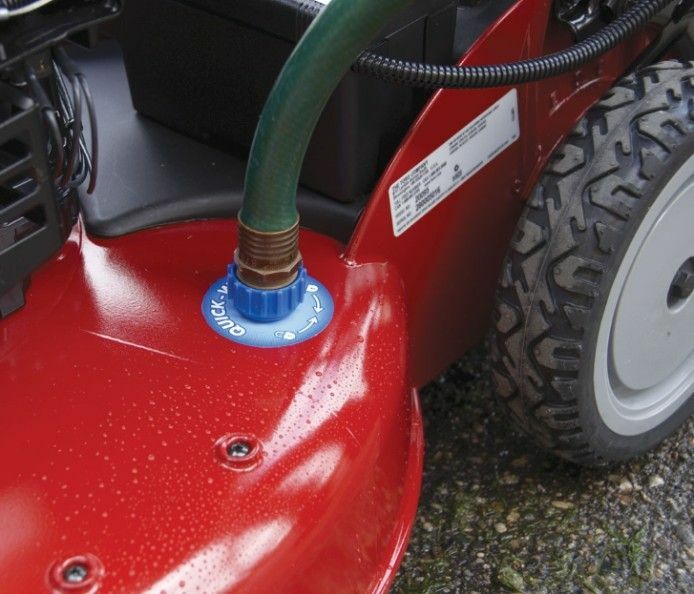 Electric Start - No need to pull the recoil cord to start the engine. 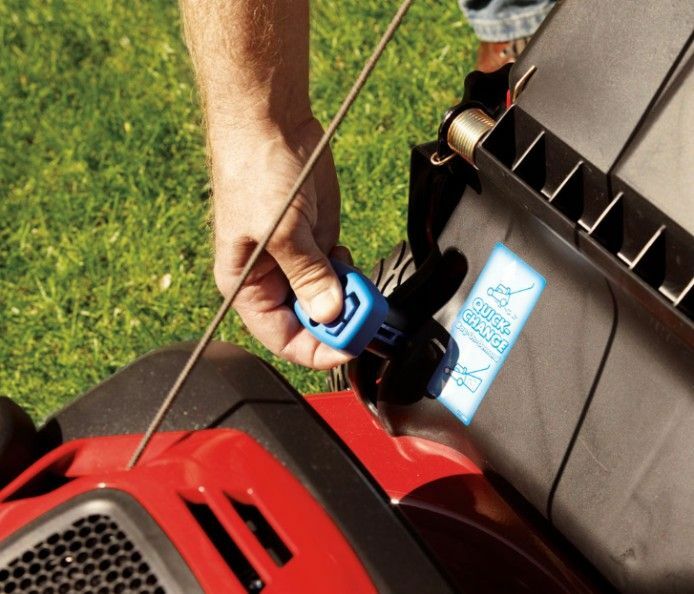 Just simply turn the key and you're ready to mow. 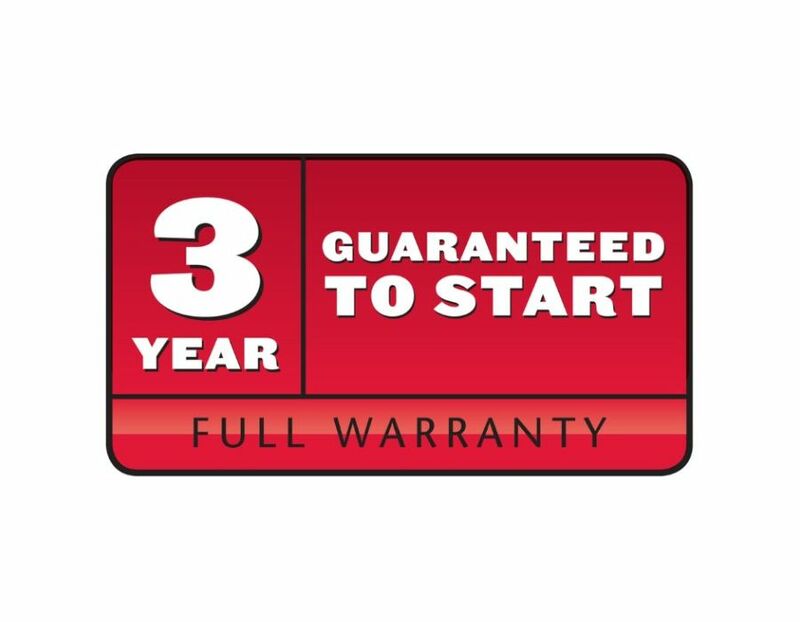 Personal Pace Self Propel Sysytem - Automatically senses and adapts to your walking speed. 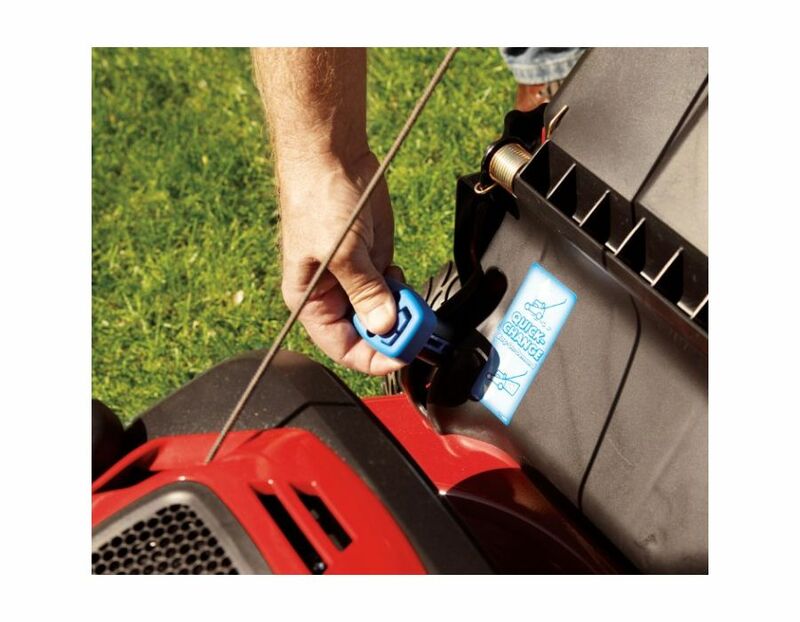 Walk faster and the mower self propels faster to match your pace. 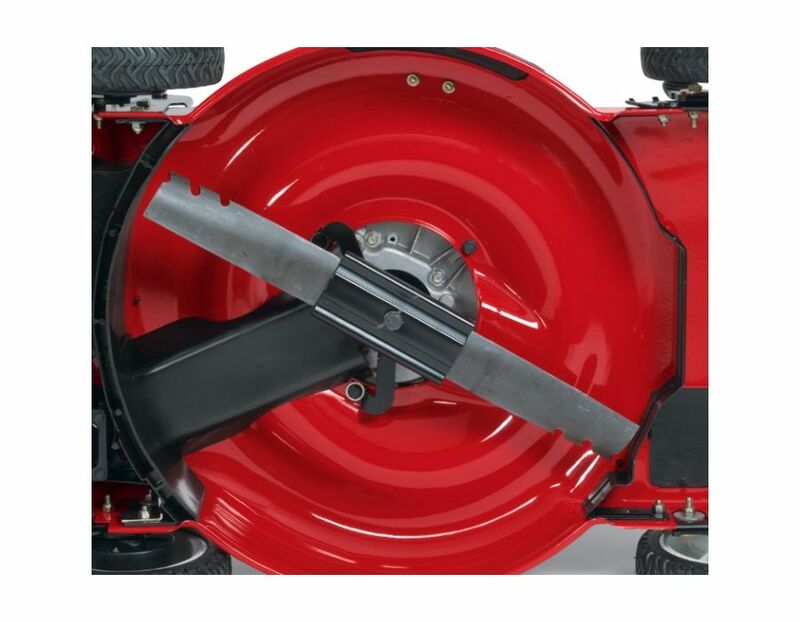 Bag on Demand - You can switch from mulching to bagging in seconds with a flip of the quick-change lever – and the bag can stay mounted in either mode. 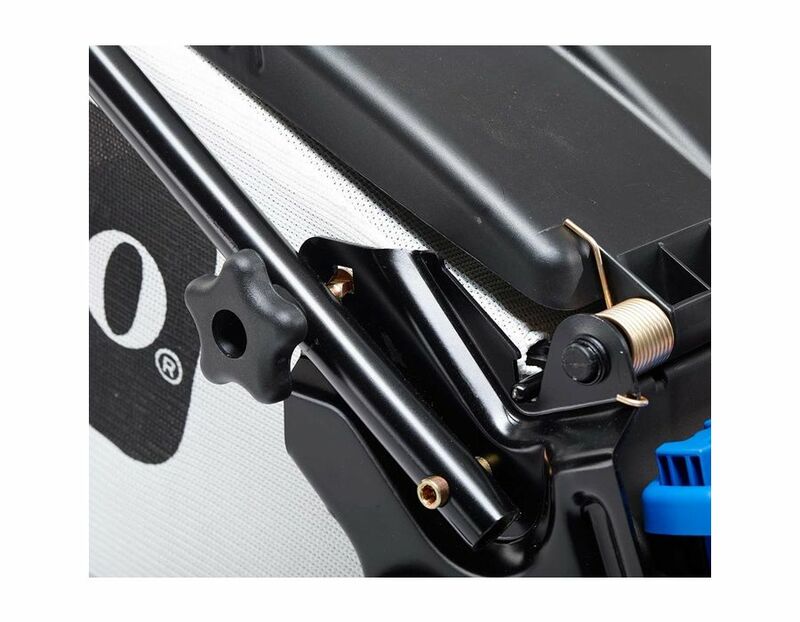 Thanks to an open single-piece handle design, you can quickly and easily remove and reinstall the bag. 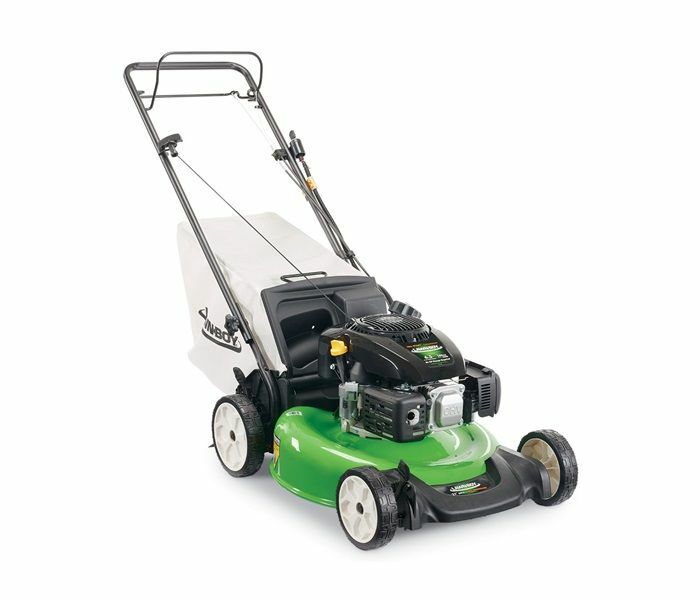 22” Recycler® Cutting Deck - Cut more grass in less time and improve the health of your lawn with larger 22” cutting width. 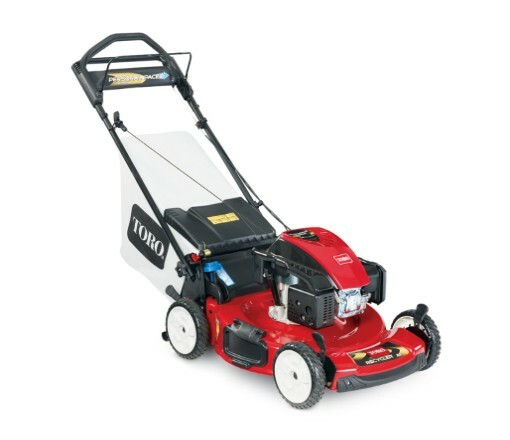 Toro’s innovative Recycler mulching system minces grass clippings into fine particles and puts them back into your lawn giving you a healthy, lush looking yard. 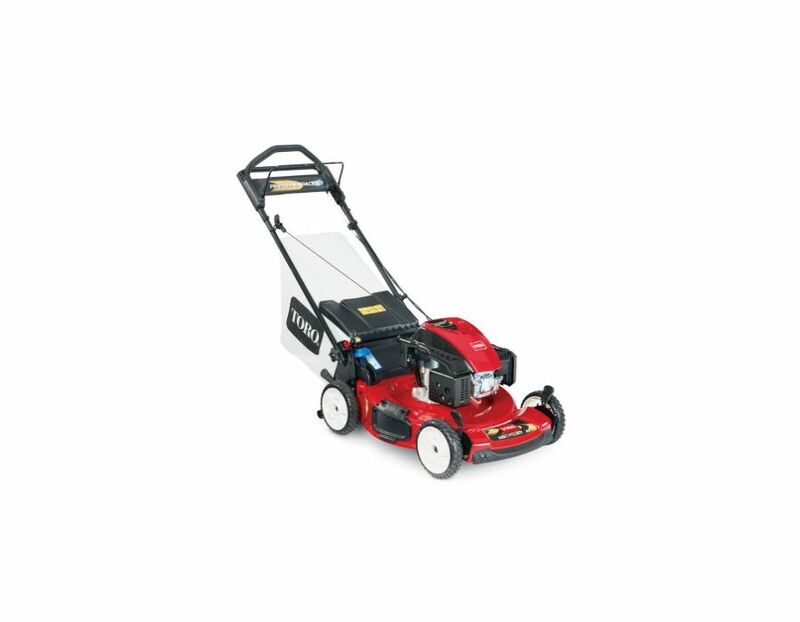 Height of Cut - 1.0" - 4.0"
The Toro Personal Pace Push Mower 20374 with Electric Start is available at Kooy Brothers Equipment Ltd. located at 1919 Wilson Avenue in Toronto, Ontario.